“Games are addictive, games are a bad influence, games are the reason of violence and should be regulated”. With all the negative coverage that this industry is receiving lately, it’s time to take a deep breath and also dwell upon the positive aspects of this multi million industry. 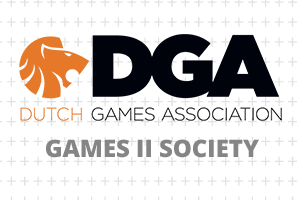 On August 1st, Dutch Games Association organizes an inspiring breakfast session that focuses on the following topic: “How do games contribute to a better society”. This hands-on get together shows different kinds of methods and projects that show how games have a positive effect on society. Our goal is to exchange ideas about this subject and to learn from a wide variety of examples. We are proud to welcome some of the most inspiring games from Wispfire, ranj, IJsfontein, YipYip, Sneaky Mammoth, T-Xchange, Tovertafel by Active Cues and more! Our legal partner, Van Iersel Luchtman will also be present to answer your legal questions related to the games industry.